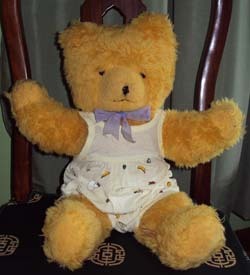 Reflecting changes in social views of child safety and of household modernisation, the Wendy Boston soft toy company developed the modern washable teddy bear. Wendy and her husband, Ken Williams, began the company soon after WW2 (1945), in South Wales. The factory then expanded in 1948. 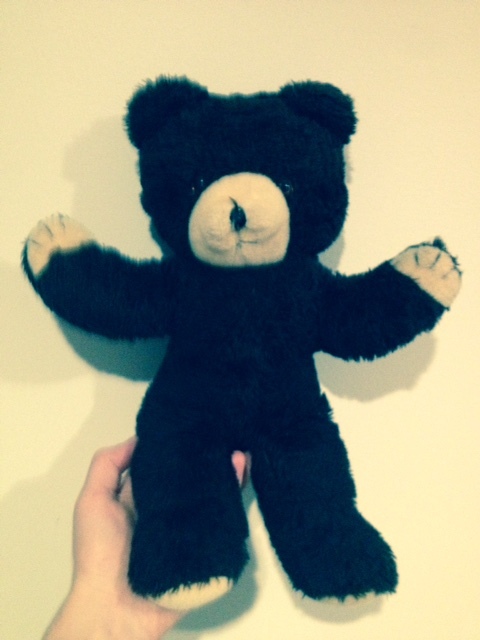 The Wendy Boston company was known for its unjointed teddy bears with their arms outstretched. The other distinctive feature was the invention of screw-locked plastic eyes, in 1948. These were amber-coloured plastic with a small black pupil, and fixed in place by a screw-locked nut on a bolt behind the pupil. This revolutionized the safety of teddy bears, as traditional glass or shoe button eyes posed a danger to small children, if pulled out and swallowed. The earliest bears were made of mohair plush. However, in 1954 Wendy Boston produced the first fully washable teddy bear, made from synthetic fabrics and stuffed with moulded or granulated foam rubber. Later, though, foam rubber was found to be a fire hazard which emitted toxic fumes when alight. Hygiene had been promoted throughout the 1930s and 40s, and so a washable teddy was enthusiastically embraced by parents, and so was widely copied by other manufacturers! In 1960 the company name was changed to Wendy Boston Playsafe Toys Ltd. During the 1960s it produced one quarter of the UK's soft toy exports. In 1968, the company was bought by Denys Fisher Toys ( Palitoy), but was unable to compete in a changing market, closing in 1976. 1955: 'PLAYSAFE TOY/Made in GT. BRITAIN/ by WENDY BOSTON' (printed). 1960s:'WENDY BOSTON/Made in England/Wash in lukewarm suds' (printed on satin). 1972:'WENDY BOSTON/PLAYSAFE TOY' (printed on satin). It’s great that you still have Wendy, and always will! She is one of the earlier ‘Child-safe’ teddies and very collectable! I bought a tiny much loved Teddy Bear this morning at the car Boot. Imagine my delight when I got him home and noticed the Blue Ribbon around his neck has Wendy Boston made in England on it. No sign of a label . They are very collectable, and a little one is a good size to display with larger teddies! It is interesting to know that his ribbon was his ‘tag’, maybe due to his small size. My Wendy Boston was bought by my Mom in Robinsons in 1970 when it was still situated in Raffles Place (Singapore) before it was brought down by a fire. I was ten years old then and although I didn’t play much with it, I liked it because of its vibrant satin orange colour and have kept it since. I named it ‘Robin’ after the Batman and Robin cartoon series which was very popular then. It was bought for S$50 when a bowl of noodles would have only cost 50 cents because the British pound was very strong then. The Wendy Boston label is printed on leather at the leg and unfortunately the original box couldn’t be saved because I kept opening and closing it to take it out and eventually it broke. It’s great that you have been able to keep Robin! He was certainly expensive and is very collectable! Unfortunately if you tried to add photos, they have not loaded properly-it would be great to ‘see’ him if you are able to try again. Hi there, I am trying to find out about this Joy Toy Monkey Pajama Bag. He is different to the one I can see on your site in that his head is not plastic. I am thinking he may be of an early period?? He would have been made in the late 1940s-early 1950s, when Joy Toys used pressed mask faces on many toys, and when production resumed after WW2. His face is made of felt moulded over buckram, with painted features. Pyjama cases are collectable, and his value, assuming his body is in good condition, would be $50-$90 at a collectors’ fair. I wonder if you are able to give me a valuation of my Wendy Boston Teddy please. I was left him some years ago & am not sure of his exact age, although I think he may be around 50 years old, although he is in remarkably good condition. Perhaps you would be able to confirm this please. Yes, your teddy is from the late 1950s-1960s, and so would be approx. 50-55 years old. 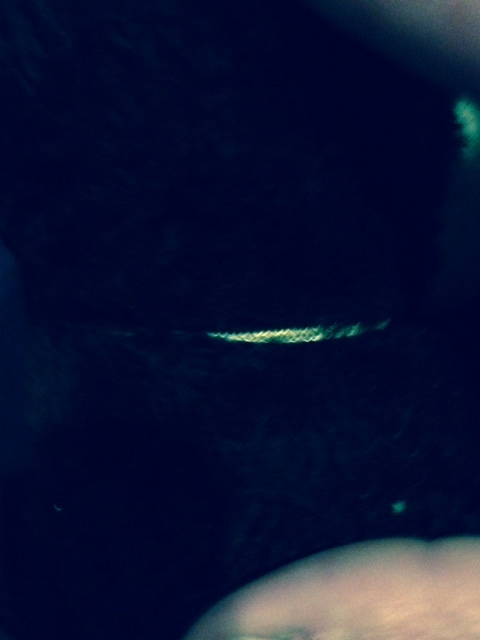 He has the earlier Wendy Boston tag which advises you to wash him in lukewarm lux, which was used at this time. He is in wonderful condition! He appears to be a larger size and so would sell at a Collectors’ Fair for $70-$100. I have seen lots of mention of the older teddy bears but nothing of the dogs. I have a mohair dog with the original tag (a play safe toy made in gt britain) that was my dads safety blanket as a little boy so that would be approx 1954-1957 can you give me any information on him. 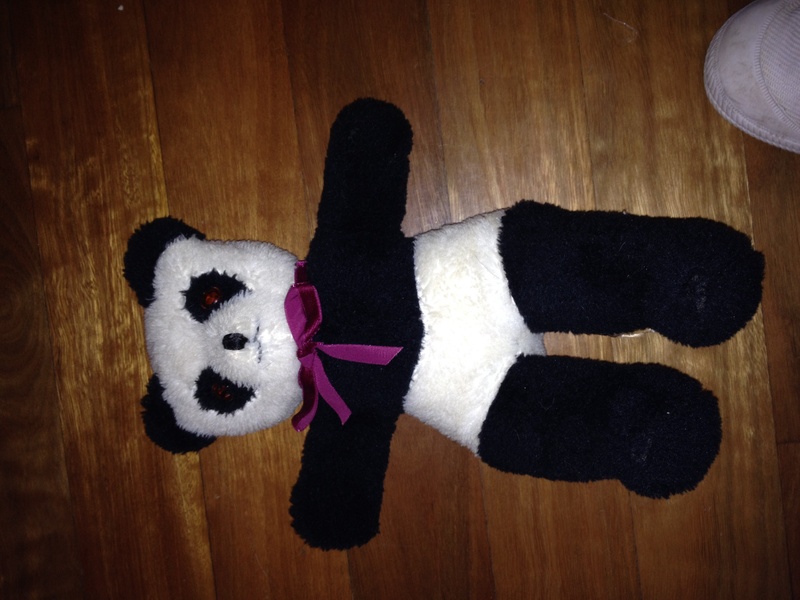 He is approx 20cm long by 20cm wide, amber and black eyes black ears and tail. would love to hunt down a photo of him in his original state. Any suggestions? It’s great that you still have your dad’s little dog! His tag is one from the mid 50s so that ties in with the date you knew your dad had him. Also, Wendy generally only used mohair from the late 40s to the late 50s. I have started looking for photos of her range of dogs. Is it possible to post a picture of your one? That would help to find his ‘twin’! lol The Wendy Boston animals are rarer to find, and moreso if they are mohair, giving him a value of $70-$100 if in good condition. There are three main companies in Australia who could have made Panda, including Emil, Verna and Jakas. Could I firstly, ask if the tag has been sewn along all sides, onto your lovely panda, or just on one side? Is it shiny, like satin, and about 2-3cm high? This will greatly help to identify him. He would have been made in the 1960s-early 1970s, from a quality, synthetic, artificial silk plush, and seems to have been stuffed with crumbed rubber, which tended to break down over time, and become crumbly. I look forward to your reply, so as to give a positive identification. Hi Jo, a bear for you to look at. 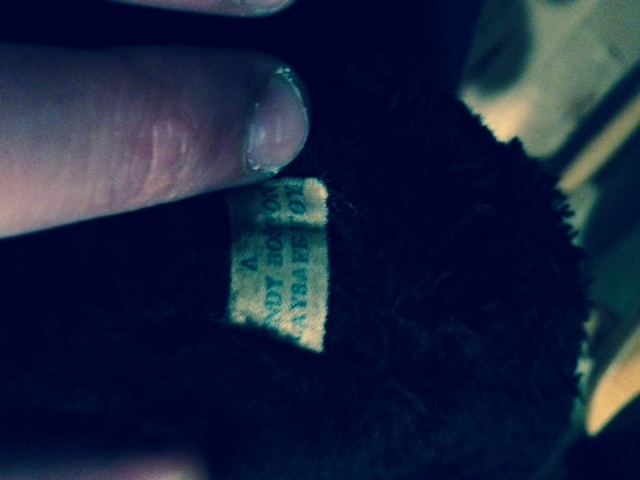 He is a Wendy Boston brown bear (please see picture), the tag has blue writing that says “A Wendy Boston Playsafe Toy”, and he is 15 inches tall standing. He also has a gold band around his neck. I was wondering if you could date this bear or give me some history on it, as well as its value. Thank you in advance! P.S I also have a California Stuffed Toy Company pooh bear that looks like it has some age, if I posted pictures would you be willing to have a look at it?